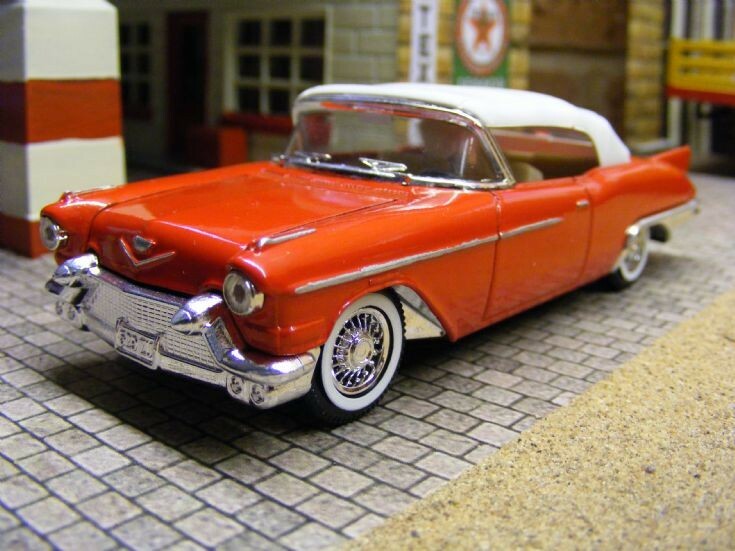 A 1958 Cadillac Eldorado Biarritz Convertible made by Solido. A very good representation of the actual vehicle, but lacking detail. The model is is the process of being detailed with bright work being picked out as an initial improvement.